Right now the map of Europe, from a cannabis cultivation perspective at least, is shaping up to be very much like a game of Risk. Throw the dice, move your armies (or more accurately line up your financing), and apply for federal import and cultivation licenses. In the process, all sorts of interesting strategic plays are popping up. And as a result, here is a new and actually pretty cool “alternative” reality that is easy to verify in several different ways. Medical cannabis is being cultivated in multiple countries across Europe as of 2018, however unbelievable this was even four years ago. Even though it is still cleary just early days. And those cultivators are already international, operating across federal jurisdictions in Europe and across both the Atlantic and Pacific oceans. With all the excitement and attention paid to the American hemisphere and the European moves of big Canadian LPs (and they are pretty amazing), there are still other moves afoot that are absolutely of note. Specifically, Australian firms and MGC Pharma in particular, have been moving steadily to establish both distribution and cultivation presence on the ground in Europe. CannEpil, the company’s first pharmaceutical-grade medical cannabis product for the treatment of refractory epilepsy. The latest news? 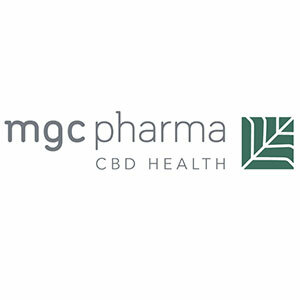 MGC’s production facility in Slovenia was officially inspected by authorities and issued an interim license for its production plant in January, before presumably being given a green light of approval permanently. 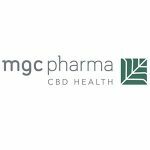 The company is also moving forward with the production of CannEpil, the company’s first pharmaceutical-grade medical cannabis product for the treatment of refractory epilepsy. Refractory epilepsy affects about 30% of all those who suffer from the condition. Refractory is one of those words however, that hides its real meaning. Translation for those without an MD? This is “drug resistant” epilepsy. Resistant to all drugs before, of course, except cannabinoids. This is a major win for MGC. Not to mention a vibrant medical market. No matter where specialty drugs are now going to be sourced from. What more traditional American pharmaceutical companies have known for a long time (certainly since the 1950’s) is now a fact also facing all cannabis brands coming to the European market and Germany in particular. The regulatory environment is hostile to the extreme for Auslanders in particular. Specifically, the development of “branded” or “name brand” drugs runs economically and philosophically counter to the concept of public health insurance itself even as their market accessibility is required by the same. This is even more the case for foreign firms with such ideas. Here is the problem. Name brands are expensive. They are also usually outlier drugs for specific, relatively rare conditions. This is also the place where new drugs enter the market, no matter what they are. In an environment where the government negotiates bulk contracts for common drugs and these can be bought at every apotheke (pharmacy) for 10 euros and a doctors rezept (prescription), the chronically ill and those with drug resistant conditions are left out of the discussion. They face steep and usually inaccessible bills up front for all meds not in bulk purchase categories. And that as of last year in Germany specifically, includes cannabis. That is the case even though technically the government is now buying cannabis in bulk and making purchase commitments to foreign companies for the same. Insurance companies, however, are still forcing patients to pay the entire out of pocket cost up front and wait to reimbursed. However medical cannabis is clearly not just another drug. Cannabis falls on both sides of every fence in this discussion. The first problem is that the providers (importers and soon to be domestic cultivators) are private companies. All of them are foreign helmed at this point, with a well-developed bench of branded products. That makes all cannabis drugs, oil and flower, by definition, fall into the “expensive” branded category immediately. The German, Italian, and Danish governments appear to be now negotiating bulk buys during a licensing season that is well on the way to domestic cultivation too. That alone will affect domestic prices and new products. But again, this is now several years behind other countries – notably MGC in Slovenia, Tilray in Portugal, all things now afoot in Denmark and clearly, Greece. Next, cannabis’s status as a still imported, speciality, semi-trial status in the EU means it is in the most restricted categories of drugs to begin with (no matter the name or strength of the cannabinoid in particular). And because it can be bought as bud, in an “unprocessed” form as well as processed oils or other medicine, this is throwing yet another spanner into the mix. Look for distribution deals all over Europe as a result, starting with PolandThen there is this wrinkle. Cannabis (even CBD) is currently considered a narcotic within the EU and even more specifically the largest continental drug market – Germany. The German regulatory system in particular, also imposes its own peculiarities. But basically what this means in sum is that the legal cannabis community including distributors and pharmas at this point, have to educate doctors in an environment where cannabis itself is a new “brand.” Who manufactures what, for the purposes of German law, at least, is irrelevant. It is what that drug is specifically for that matters. For all manufacturers now considering entering this market, this is a complicated environment to begin negotiating. This is sure not how things are back home. What this also means is that low cost, speciality cannabis products will continue to be imported across Europe for the German and other developing, regulated sovereign markets here as doctors learn about cannabis from condition treatments. And that is what makes the news about MGC even more interesting. Look for distribution deals all over Europe as a result, starting with Poland. And, despite the many well-connected and qualified hopefuls from Canada, a little competition in the German market too. MS is the only “on-label” drug at present for cannabis treatment in Germany. As a result, particularly when it comes to paediatric treatment for drug resistant epilepsy, this is the kind of strategic presence that will create a competitive source for highly condition-branded medication for a very specific audience of patients. It is also what the German market, for one, if not the EU is shaping up to be at least in the near term. As this interesting abstract from 2006 clearly shows, this kind of epilepsy is also high on the German radar from a public policy and healthcare-cost containment perspective. The costs of treatment per patient were between 2,600 and 4,200 euros for three months a decade ago, and not only have those risen, but so have the absolute number of people in similar kinds of situations. Further, with indirect costs far higher than direct costs including early retirement and permanent semi disability, MGC’s market move into an adjacent (and cheaper) production market might be just what the German doctors if not policymakers now looking at such issues, will order.